This chapter presents a case study that examines the perceptions of online students and instructors regarding their experiences in a reputable online MBA program. The findings indicate that both the instructors and students exhibited a high level of satisfaction with their online experiences in the program and positive attitude toward online learning in general. This study also explores the in-depth views of the online participants on several key components of online business education, including online learning facilitation and interaction, virtual teamwork, and Case-Based Learning (CBL). The issues and challenges identified in the study indicate a need for the instructors and students to receive more guidance and support, technologically and pedagogically, in order to create a more engaging and fruitful online learning environment. In this article, online education (or online learning) is broadly defined as the type of education that primarily uses the Web and online communication technologies in order to enhance the delivery of courses, improve learners’ access to learning opportunities and success (Australian Flexible Learning Framework, 2004). Along with prominence on online education, online learning offerings have increased since the turn of the century. According to the most recent Sloan Consortium report (Allen & Seaman, 2008), more than 60% of schools that provide face-to-face courses have offered graduate courses online. Almost 3.9 million students took at least one online course during the fall 2007 term, a nearly 12% increase over the number reported in the previous year. Business schools have been aggressively following this online learning trend as education via online technology is considered to be one of the key delivery modes for MBA programs (Phillips, 1998). With the increasing acceptance of online graduate degrees in the workplace, students with full-time jobs have become the fastest growing market segment in Internet-based management training (Smith, 2001). It is estimated that $40 billion is spent annually by corporations and governments on training, and a growing portion of this training is accomplished through online technology (Magjuka, Min, & Bonk, 2005). The field of business requires diversified practices for real-world problems as much as or more than any other field. Questions and concerns remain regarding whether online learning can fulfill the promise of providing prospective MBA students with application skills and knowledge similar to the knowledge gained by traditional business professionals (Lee, Lee, Liu, Bonk, & Magjuka, 2009). The tremendous growth of online MBA programs has not been accompanied by adequate research with which to address the quality of online business education relative to classroom-based courses. The available research on the effectiveness of online management education is not only limited, but is also inconclusive. Some of the evidence suggests comparable or superior performance and a higher level of satisfaction of online MBA students compared to traditional MBA students (Hay, Peltier, & Drago, 2004; Kretovics & McCambridge, 2002). Other studies have documented that such programs create feelings of isolation and a lack of interaction in online MBA courses (Arbaugh, 2002; Hay et al., 2004). 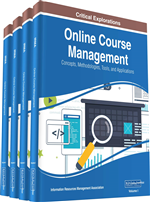 Giving the inconsistent findings in regard to the effectiveness of online management education, there is a pressing need to examine the critical factors influencing the successful delivery of online management education. The purpose of this article is to report on a case study, the goal of which was to identify success factors and barriers in regard to online business education from the perspectives of online instructors and students.